Thanks for a great 2019 event! 2020 event details coming soon. 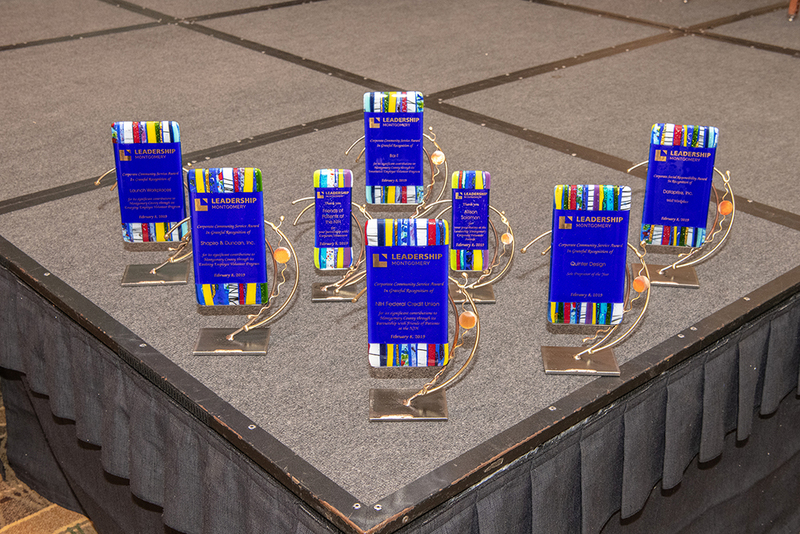 At the Leadership Montgomery (LM) Corporate Volunteer Awards Luncheon, we recognize local businesses for their support to the Montgomery County community through employee volunteer engagement. In addition to the presentation of awards, we hear a Keynote Speaker chosen to inspire the Montgomery County business community to not only do good, but to do it better by leveraging their talented workforce as volunteers, measuring their impact, and telling their story. Corporate volunteerism is common approach companies take to incorporate community involvement into their corporate citizenship efforts. What is an employee volunteer program (EVP)? An EVP is planned, managed effort that seeks to motivate and enable employees to effective volunteer under the leadership of the employer. Who is eligible for a Corporate Volunteer Award? Businesses based in, with a presence in, or serving Montgomery County through employee volunteerism. Click the links above to learn more about each of our award categories and review our award selection criteria here.